There is a lot of scripture that people know and quote all the time. We’ve all witnessed the iconic John 3:16 signs displayed at football games. However, there are so many more awesome verses in the Bible that are lesser-known. 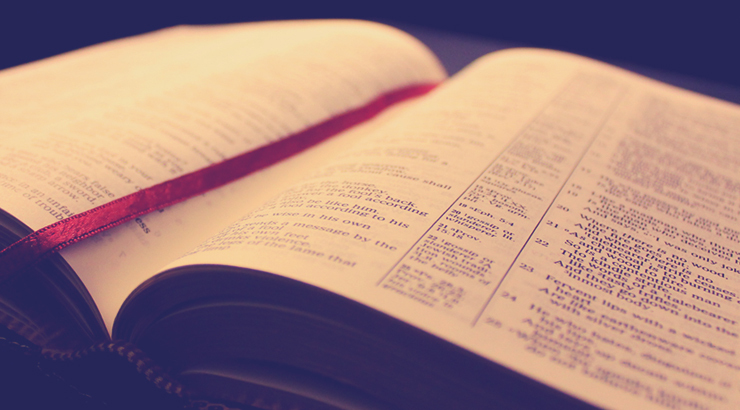 Here is a list of 25 inspiring and beautiful verses! What are some of your favorite Bible verses? What else should make it on this list? Let us know by commenting on this blog or using #steubystl on Twitter! Originally from Belleville, IL, Katie Reitano is a student studying theology and music at Saint Louis University. She is also an intern at the Office of Youth Ministry for the Archdiocese of St. Louis. In her free time, she enjoys reading, singing, and playing piano. I think number 18 is accidentally sited wrong. I believe you meant to put Joel 2:28…..? Thanks for this post and God’s blessings on your day. Aarica, let me just say that it’s impressive you noticed this! It’s interesting, but verses in the Book of Joel are divided up differently based on which edition of the Bible you are reading. This is taken from the NAB, which separates the book into 4 chapters as opposed to 3. There is no such thing as Job 2:21. I loved this and went to look it up and maybe it was miswritten? I believe it’s Job 1:21!